At the end of a year serving as chair of the SPJ Freelance Community I’m excited to return to the role I filled previously: coordinating the Community’s efforts to provide resources to help independent reporters, editors and producers succeed in today’s journalism industry. I believe freelancers can play a bigger role in the industry in the future, but only if we find ways to succeed as business people and step out of journalism’s margins, into the center of the news and information publishing world. To be sure, individual freelancers have made their way onto some journalism outlets’ “contributing” editor or writer lists and into six-figure careers as independent journalists. In my mind, however, there is no question that freelancers, as a group, operate in the margins of the news business. The vast majority of us struggle to make our place in an industry that has eliminated thousands of jobs, laid us off and used our new status as independent, unaffiliated workers to pay less for the same work we did as employees. Editors, publishers and producers cannibalize our pitches and stories, make us chase after our money (sometimes even to the courtroom), subject us to sexual harassment just as they do staff writers, send us on hazardous assignments without offering protections they provide to staff workers and, all too often, ignore our emails and phone calls seeking answers to simple questions about our work for them. Finding our way out of the margins won’t be easy. It will require recognition by major industry stakeholders that we serve an increasing share of publishers’ needs for the high-quality content they previously paid staff workers to produce – even though acknowledging this reality will mean they have to pay us higher fees. I believe the SPJ Freelance Community has a role to play, as we continue to build a set of resources to help independent journalists thrive. The Freelance Community’s reach has grown this year, with membership in our Facebook group nearing 900 and our Twitter feed @SPJFreelance topping 2,300 followers. We’ve redesigned our hub on SPJ.org, updated our Freelancer Directory to make it more current, offered training and networking sessions at Excellence in Journalism 2017 and online, and provided opportunities for freelance journalists to discuss the most important issues we face in our businesses. I’m pleased to have been part of that effort and look forward to helping SPJ expand the tools and resources it offers freelance journalists in 2018. I hope you’ll join us in the new year. Hello Freelancers … Got any ideas for how to make the Freelance Community better? Join our board! Annual elections are coming up, and we’d love to get new folks involved. Anyone who is a member of SPJ and the Freelance Community is encouraged to run for any of the following positions. Nominations are due Tuesday, Nov. 21. If you want to run for one of these positions or if you’d like more information, please email the current chair, Hazel Becker, at hazel@hazelbecker.com so she can let the SPJ headquarters staff know of your interest. You must be an SPJ member and a Freelance Community member (no extra charge) in good standing in order to serve on the board or vote in the election. NOTE: If you’re not sure whether you’re officially a member of the Freelance Community, don’t let that stop you from expressing your interest in running for the board. As long as you’re a current member of SPJ, we can get that rectified easily, and there’s no extra charge. Nominations are due this Tuesday, Nov. 21, so don’t delay! I have found that it feels really good to give back to the community where I found support and valuable resources as I started my freelance career three years ago. It’s also been a great way to connect on a deeper level with other freelancers and share the satisfaction of getting good work done in the world. I hope you’ll consider chipping in, too! Additionally, the SPJ Freelance Community will host a “Freelancers’ Corner” table in the main hall of the conference on Thursday and Friday, from 9:00 a.m. to 5:00 p.m. Please stop by to say hi, fill us in on what you’re up to, and learn more about (or give us new ideas!) how the Freelance Community can support you. EIJ is a bilingual, multimedia conference for journalists in any medium, with many sessions to be presented in Spanish. The conference is a collaboration among SPJ, the Radio Television Digital News Association (RTDNA) and the National Association of Hispanic Journalists (NAHJ). Do you want your hard work to pay off? Learn ways to make your research, interviewing and writing efforts do double duty. Independent journalists who know how to resell stories and reuse their research will show freelancers how to work more efficiently by finding new markets for published stories — to keep the pipeline full in slow times, and to boost earning power all year long. Some say it can’t be done; this session proves them wrong. Others don’t know where to start; this session shows the way. We’ll dissect stories of experienced investigative journalists to reveal their techniques for gaining access, navigating legal complexities and funding investigative work without the level of newsroom support that comes with a staff position. We’ll give ample time for audience questions, which attendees are encouraged to send in advance to eij@nilesmedia.com. It will be relevant for new and experienced journalists and freelancers alike. You may pick up investigative techniques, but PLEASE NOTE: This is not a session about how to conduct investigative reporting. We’ll focus on how to do investigative reporting *as* a freelancer. As the compensation model for working journalists continues to shift from salary and work made for hire agreements, to compensation that’s largely based on online metrics, so too must our approach to getting paid. Forget what you think you know about promoting yourself. It’s time to platform! The simple fact of the matter is more publishers are demanding that you become a brand unto yourself, and there’s no better way to be seen and heard than through the building and proper feeding of your own platform. Join NAJA members for an interactive discussion on how to navigate coverage of protests in Indian Country, including what to do if you’re in a situation where law enforcement is less discerning in upholding First Amendment protections. Learn about your rights and the limitations you have as a journalist in covering Native communities through examples such as the Dakota Access Pipeline near the Standing Rock Sioux Reservation. How does telling the story of violence against Native women and children help strengthen tribal sovereignty? What are the barriers to justice and safety for victim-survivors of abuse? Media play a critical role in telling the story of domestic violence and sexual assault in tribal communities. Journalists can help shed light on the devastating fact that millions of Native women, men and children in this country are directly experiencing physical, sexual, mental, emotional abuse and threats of violence in their intimate relationships. Learn about the importance of providing historical context in news stories, understanding the jurisdictional loopholes at the federal, state and tribal level, and get the latest data, tools and best practices for covering these sensitive topics. We’ll explore what resources exist for Native victim-survivors, including the StrongHearts Native Helpline, a new culturally-appropriate domestic violence and dating violence helpline for American Indians and Alaska Natives that launched in 2017. The switch from full-time staff or freelance journalist to teaching can be a tough one especially for those without a deep background in journalism education. We’ll help you understand how community colleges, state schools and private universities hire adjuncts and full time professors. We’ll also set out the skills you need to be a successful educator as you create syllabi and rubrics, navigate contracts and manage students. … to think about next year’s conference. What freelance sessions would you like to see — or produce, or contribute to as a panelist or speaker? The deadline for proposing sessions is mid-January, so it helps to get a jump on the brainstorming now. Last year, the Freelance Community started by crowd-sourcing ideas for sessions, then consolidating those into a handful potential sessions. Based on an informal poll of the community, we found volunteers to take the lead on a few of the higher-ranking session ideas, and of those proposals, two were accepted. Maybe next year, one of them will be yours! Please contact Freelance Community Chair Hazel Becker or Secretary Hilary Niles with your thoughts. And be sure to connect with @spjfreelance on Twitter, where you can also follow the conference through the hashtag #EIJ17. 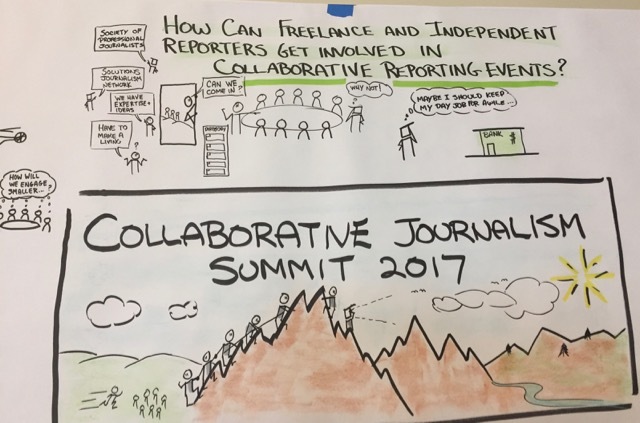 During the Collaborative Journalism Summit at Montclair State (NJ) University in early May, my mind returned to questions I’ve been pondering since becoming chair of the SPJ Freelance Community this year. Who are we independent journalists? What makes us different from other journalists, or from other freelance writers? And why are we freelance journalists when we could be something else? 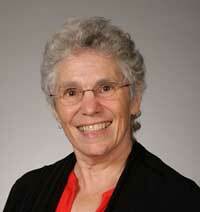 Hazel Becker is chair of the SPJ Freelance Community. In my earlier contemplation, I asked members of our Facebook group to tell us why they freelance. The reasons respondents gave ranged from “it’s my career choice” to “I can’t find an entry-level job.” Although about half those responding said they freelance by choice, other responses make it clear that some of us go to great pains to make a living and still be journalists. Some of us sell stories to media outlets on a freelance basis while working full- or part-time at other pursuits. Others take on freelance corporate writing and PR work along with story assignments because the pay is higher. Some continue to tell news and feature stories while job hunting after graduation or layoffs. A few, like me, freelance in retirement to stay in the game during these exciting times. At the New Jersey summit, I was glad to hear that independent journalists have been involved in some of the collaborative projects discussed, including the International Consortium of Investigative Reporters’ Panama Papers effort that won a Pulitzer Prize this year. If we want to increase our involvement in such projects, we need to assess and state our value proposition as professional freelance journalists. Journalist, to most of us, means true storyteller. Whatever the mediums in which we work, we tell real stories — about events, environments and the people who experience them. Whether we’re writing the first draft of history, chronicling a series of events or profiling a person, place or thing, our aim is always the same: to tell a story we see to people who haven’t seen it as we have. Freelance generally means free to purvey our craft on behalf of not just one but many sponsors — essentially, harkening back to medieval times, free to wield our lances on behalf of whatever cause we choose. As did the warriors of the 13th through 15th centuries, we choose primarily based upon what we get in return — usually payment, prestige or pleasure, the three Ps suggested by freelancer Katherine Reynolds Lewis as worthy compensation for our work. We are on our own, independent, not controlled by any government, political or corporate entity or employed by a single publication. Professional, broadly defined when pertaining to individuals, means those who work according to a set of generally accepted standards and practices in a field. When pertaining to journalists, I define professional as those who seek truth and report it, act independently, minimize harm and are accountable and transparent. These four tenets of the SPJ Code of Ethics form the basis of practice standards for professional journalists, not only SPJ members and not only those who say their work is guided by our code. They also should be a stated part of our value proposition as professional freelance journalists because they set us apart from other freelance writers in the crowded, internet-driven marketplace for our work. As freelancers, most of us collaborate to some extent. We work together with publishers, editors, news directors and other media operatives to tell our version of stories to their audiences. We know how to do this! To get in on the action, we just need to sell our value — whether to collaborative projects or to prospective clients. Freelancers who have special skills (foreign language or technology proficiency, for example) or deep knowledge of certain subject matter have an advantage with clients or projects that need those skills. But generalists also have something to sell — their presence in and knowledge of the areas where they live or work. Here’s one approach to collaboration: The North Carolina Newsroom Cooperative formed to support independent journalists in the Triangle area of North Carolina in 2015 during debate over that state’s H.B. 2, the “bathroom law” targeting transgender people. Early members of the cooperative wanted to tell North Carolina’s story about the legislation, not the outsiders’ versions then being circulated by what they describe as the “parachute media” who arrived in droves after the bill was enacted. In addition to its co-working space in Research Triangle Park, the nonprofit offers networking, educational opportunities, legal advice and events to help members promote their work. The U.S. news media are in a period of introspection following their dismal performance in reporting on the sentiment of the country in the 2016 presidential campaign. There could be no better time for independent journalists to sell their local knowledge and connections to regional and national media needing to broaden their reach and increase the diversity of voices they listen to and tell about. Back in 2010 and 2011, a section of my local newspaper, The Charlotte Observer, solicited short essays on the topic of style. I sent some on spec and eventually saw a few printed on various style-related topics — including my misguided preference for novelty holiday sweaters, attempting to wear contact lenses, thank-you notes as an indication of style and one misadventure in scarf-tying. These lighthearted works were fun to write and brought in modest paychecks. I enjoyed the experience, but I also wished I could write for publication on a regular basis. Later, I came across a notice advertising a need for freelance correspondents to write features and neighborhood news for the same newspaper’s community news sections. The pieces I had written for the style column gave me the confidence I needed to apply, not to mention a handful of useful clips for my portfolio. So, you could say my path into freelance journalism began with a personal essay. I retain a certain affection for essay-writing, even though I went on to write articles for the paper for several years on the arts, education and nonprofit happenings, and write posts for a magazine’s food blog. I love personal essays because they are personal. That, and they are full of the same kinds of sensory description — following the same commandment to show, not tell — that are the hallmarks of most good writing. In some ways, personal essays also are easier to write than articles, despite the creative energy involved, because they require less research or interviewing. Between regular writing assignments now, I’m returning to my roots. I’m keeping my writing skills sharp by rediscovering my love of the personal essay as a literary art form, something I hadn’t found much time for at my busiest. Literary magazines and journals, whether online or print, are plentiful. Most seem to pay in the form of complimentary copies of the journal, if they pay at all, so this is not an endeavor that will help meet the bills for us freelancers. The rewards of trying them out and searching for a literary home for our most personal writings are more intrinsic than that. Many literary journals have a nonfiction or creative nonfiction department for essays and similar works. Their websites will specify if they take “simultaneous submissions,” or if one must avoid sending the work elsewhere while it is under consideration. Some desire a cover letter with an entry; others want none. When I do include a cover letter, I keep it brief, perhaps referencing how I found the journal and why I think my writing would be an appropriate fit. I might type a sentence or two introducing the material. It’s not all that different from the query letter one might send with an article pitch, except here I am sending the finished piece. Each journal has its own personality or focus. As with any publication, it is best to read submission guidelines closely and samples of published work to gain a sense of the flavor of the publication and what it’s seeking. Don’t be discouraged if at first it’s difficult to transition between journalistic writing and composing personal essays. I’ve found sifting through personal artifacts and contemplating my treasured objects or family photographs in a new way to be a rich source of essay ideas. Tapping into the humor in everyday life can provide inspiration, as well. One lesson I learned from my scarf experience years ago: When you get stuck, just hang on, tie a knot in the thing somewhere and keep going. Hope Yancey is a freelance journalist in Charlotte, N.C., and a member of the SPJ Freelance Community. Follow her on Twitter @Hope_Yancey. For many independent journalists I know, it’s discouraging to see the continuing string of newsroom layoffs that began in late 2016, including those announced by Dow Jones and Gannett in October that put hundreds of journalists out of work. Freelancers worry about the flood of laid-off staffers pouring into an already crowded job market. Yet, without a place for all these newspeople, we risk losing dedicated journalists at exactly the time when their energy is most needed to weather ongoing upheaval in our industry. Recently, I have found one bright spot in this bleak picture: evidence that more mainstream organizations are joining SPJ in the recognition that independent journalists need special services to help them run successful freelance businesses. After the New Jersey Gannett layoffs in November, Montclair State University’s Center for Cooperative Media teamed up with Poynter’s NewsU to offer free training for out-of-work journalists in the state, the idea being to help them make a go of it as freelancers. The training includes a certificate program in “building your brand through social media,” an array of coursework topics including how to become an entrepreneur and how to contribute to a local publication, and webinars and classes to help strengthen skills veteran newspeople need to thrive, working on their own. NewsU isn’t new. For more than a decade, Poynter has been building a curriculum of more than 300 courses for newsroom and online training. What’s new is the acknowledgment that journalists need a path for continuing to work in the profession, even after their jobs are eliminated. SPJ took a bold step a few years back by allowing groups of members with common interests to form official communities. They’re akin to national chapters, but organized around a common interest rather than location. It’s no surprise to me that the Freelance Community is the largest and most active of those groups. Through online events and chats as well as the community’s Facebook Group, we are engaging hundreds of independent journalists around issues ranging from access to information to freelance rates and contracts. Our resources help independent journalists keep track of contest entries and fellowship deadlines. Online discussions also spread the word about calls for pitches and training opportunities available to freelance journalists. Independent journalists also are building community in person. Across the country journalists join with other freelancers for monthly Spark events sponsored by the Freelancers Union. Within SPJ, the monthly freelancers’ lunch meeting in Washington, D.C., will spread this year to other cities, and freelance programming is taking hold at the chapter and regional levels. The Freelance Corner at Excellence in Journalism (EIJ16) in New Orleans last year kept Freelance Community leaders busy throughout the conference, where budding and veteran freelancers alike crowded sessions and networking offerings. Such groups and activities hold real value for journalists working outside the hub of a newsroom. Sharing information, skills and activities with similarly situated individuals throughout my time in SPJ has made me a better journalist and a more successful freelancer. I’ve found sources and story ideas in abundance by talking with other freelancers at the D.C. SPJ chapter lunches. I’ve learned different perspectives on some common freelancers’ dilemmas from the Freelance Community’s online chats. My technology advancements since joining the Facebook discussion group have made me more efficient and helped me solve problems that have bothered me for years. There’s also truth in the adage that there’s safety in numbers. Coming together with other freelance journalists is important to our survival as the news business continues to morph. Wherever you are, however you do it, make sure you are counted among professional freelance journalists — and share the benefits of their collective wisdom to keep your business and our industry strong. The best way is to join the SPJ Freelance Community today! 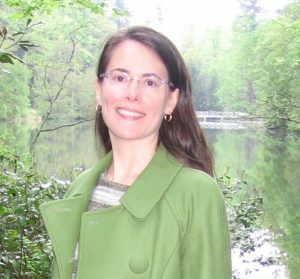 Hazel Becker’s two stints as a freelance journalist sandwich a 28-year career with BNA publications, now Bloomberg BNA, as correspondent, reporter, editor and product development manager. Freelancing over the last 10 years, she has covered personal finance, insurance, business and government for online publications and magazines from her home in Washington, D.C. She is the 2017 chair of the SPJ Freelance Community. Who put the “free” in freelance? If you are a freelance writer, editor, journalist, graphic designer or another type of freelancer you know that freelance does not mean free. But not everyone knows that. A few years ago there was a local freelance photographer that I’d see at networking events. He’d stand up, smile, wave and say “I’m the only truly “free”-lance photographer in town!” He was proud of the fact that he gave his work away. Several times I pulled him aside afterward to tell him he was making it harder for the rest of us to earn a living when he was creating the perception that freelance does mean free. It doesn’t. At first, he didn’t really get it. He was retired from the military and, though once paid for his photography, he was doing it because he enjoyed it, not because he needed the money. He continued on this “free” path for a few years, before finally changing his outlook. I’m happy to say that he now charges for his work, and he watermarks his photos so that can’t be as easily borrowed as they once were. I’m not sure how to change the perception that freelance means free, but maybe the term freelance needs to be updated. The Georgia pro chapter suggested using the word self-employed. Another freelance friend prefers the term independent journalist, which is also the name of this blog. I’m leaning toward that title myself. I am independent, I am a journalist, and I get paid for my work. Do you find the terms “freelance” and “freelancer” misleading? What do you prefer to be called? I’d love to hear your thoughts. 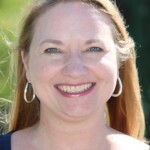 Based in Seattle, Dana Neuts is an independent journalist and the publisher of iLoveKent.net. Her work has appeared in The Seattle Times, AARP Bulletin, 425 Business, 425 magazine, South Sound magazine and others. She is a member of the Kent Community Foundation board and is currently serving as SPJ’s national president. You are currently browsing the archives for the Freelance community category.